Last weekend was supposed to be a nice relaxing weekend at a J/22 circuit stop. 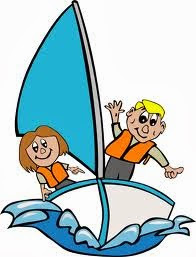 Doug and I were going to crew together on a keelboat for the first time. We were supposed to have a gentle breeze and I was going to do bow with Doug in the middle calling tactics and handling the jib and spinnaker. Stuff happened! On day two, our skipper, who is a successful litigator, commented that if weathermen could be sued for malpractice, he’d be a rich man. Some stuff was good, like our skipper winning his first circuit race and finishing third overall. Some stuff was bad, like Doug taking a blow from the boom that sounded like it hit a home run across his head. Some stuff was weird, like a gust that lifted us then suddenly dropped us with Doug rolling backward off the side of the boat without a life jacket a few yards short of the finish line. I went from bow to helm as the skipper pulled Doug back into the boat so we could finish. We didn’t even lose a spot because the race had already been cursed and we were dead last. There was funny stuff that left me with some visuals that make me laugh out loud. Doug trying to get down from the boat while it was on the trailer. He was hanging from the bow with legs flailing and then wrapping around the outside of the ladder that goes from the bow to the trailer. There was also the friendly advice from a local who had seen Doug and the skipper stepping the mast on day one by just lifting it up into place like a Laser. No shrouds attached or anything and fully at the mercy of the wind and luck. It plays like a cartoon in my head. We had some WTF stuff with both spinnaker lines wrapping themselves around the forestay requiring untying everything just to get it down. I’m sure the skipper was amused, dumbfounded, and a little panicked at times with all the baffoonery unfolding before him as Doug and I struggled to tack and raise/lower sails. Luckily, Doug’s tactics were enough to keep us in the mix despite the monkey business. At the end of the weekend, I looked and felt like I’d had the stuffing beat out of me. Bruises from head to toe. And Doug, bless his cold blooded Canadian heart, wasn’t the least bit sore and didn’t have a mark on him. I’ve taken that same blow to the head and couldn’t brush my hair for a week. Doug had a cut on his ear but couldn't even find where the boom had hit him. Someone needs to study that man. He doesn’t bruise, EVER. Bleeds like a sieve but remains unmarked. It's got to be a Canadian thing. So, our first time crewing together on a keelboat. Not a weekend we'll soon forget but I can't imagine that Team Peckover will ever be in high demand unless, of course, someone needs a good laugh and a little scare all at the same time.